Jayapura, 1/1 (Jubi) – Head of Papua Police, Inspector General of Police Tito Karnavian said, during the year 2013, there were eleven prominent cases related to Security and Public Order. “There were eleven prominent cases during the Year 2013. 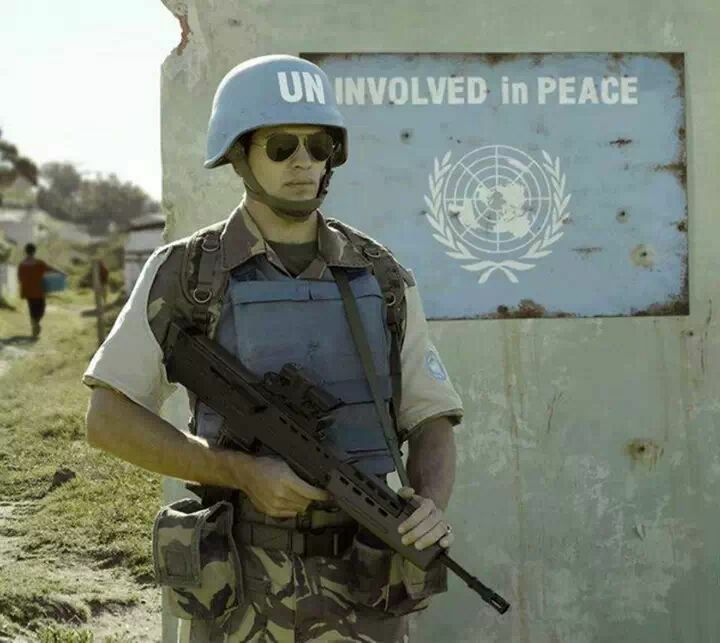 Such as attacks carried by unidentified peoples, fifteen cases, and assault in the area of ​​PT Freeport Indonesia, eleven cases,“ said Tito Karnavian to reporters on Tuesday (31/12) night. 11. Raising of the Morning Star, 5 cases. In addition, Papua Police had eleven operation carried out in the year 2013. Eleven of these operations include Operation Mantap Praja II, Operasi Mantap Praja III, Operasi Sahabar Matoa, Operasi Simpatik Matoa, Operasi Dian, Operasi Patuh Matoa, Operasi Zebra Matoa, Operasi Lilin Matoa dan Operasi Aman Matoa III. “To eradicate corruption, from ten activities with 122 existing cases in police report, the State suffered a loss of Rp. 58,166,994,730, – but money returned to the state was Rp. 15,066,951,566, – , ” said Tito Karnavian. A well known figure in the armed wing of the Papuan Independence Organisation (Organisasi Papua Merdeka (OPM)) Danny Kogoya, is reported to have died at a location in PNG close to the Indonesian PNG border on Sunday (15 December 2013). A contact for majalahselangkah.com in Jayapura explained that Kogoya died as a result of an infection in his right leg, which had been amputated following being shot when arrested by Police in Jayapura at the Dani Hotel in Entrop Jayapura on 2 September 2012. Police at the time said Kogoya was attacked due to him being a suspect in a shooting at Jayapura and was shot in the foot when trying to flee through the back of the hotel. Following being shot he was taken to the police hospital (Bhayangkara) at Kotaraja for acute medical treatment. He was then detained in a cell at the Jayapura Police Headquarters, after which he was moved to the Abepura Prison. He faced the State Court (Class I.A) in Jayapura for suspected involvement in the abovestated shooting but was eventually released by the law. Once released he went to Camp Victoria (an OPM Camp) close to the border between PNG and Indonesia. Whilst there a member of the governing forces in the border region sent a photo of Kogoya to the police in Jayapura, resulting in him being yet again threatened with arrest. So finally he fled to PNG. 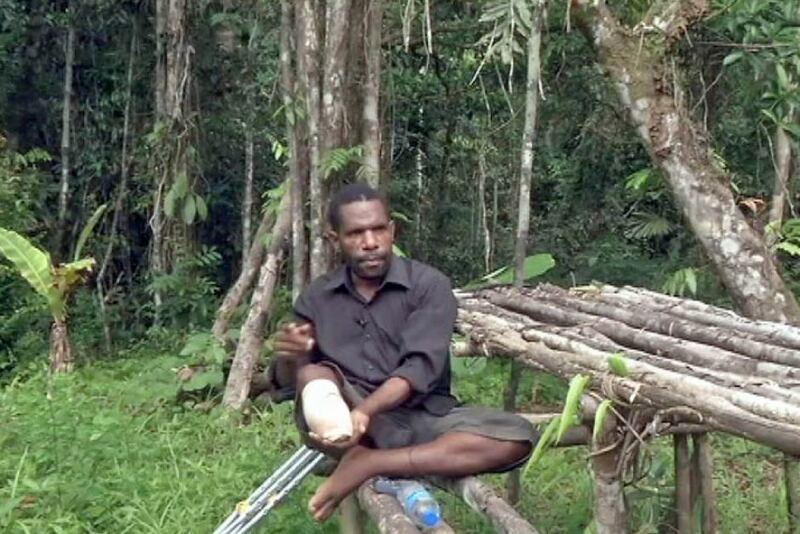 The journey to PNG led to an infection in the wound where his foot had been amputated, so he was given traditional treatment in the forest of PNG. At that time he was quoted by the ABC as having urged the leaders of the OPM who had gathered at Camp Victoria, to continue the struggle to separate from Indonesia. “ My foot has been cut-off because I am a member of the OPM and I personally urge for independence (for Papua). Papua must be independent of Indonesia” stated Danny Kogoya to the ABC. Activist Matius Murib wrote on Facebook that it was planned for the body of the late Danny Kogoya to be taken back to Papua to be buried. He stated that coordination and administrative requirements to enable that had already been arranged. “In relation to the plan to send the body of a Papuan activist Danny Kogoya from Vanimo, PNG back to Jayapura city this date (16/12/2013), technical coordination at the border and the arranging of administrative matters, protection and family to receive the body at Vanimo have already been organised and the family have guaranteed security in regards to the order of things and also that all will run smoothly” noted Murib on Facebook. He requested the Police to not enter the area in the vicinity of the funeral home at Kamkey Abepura. Journalists have been banned from joining the funeral ceremony from the time of the funeral procession, at the funeral home and until the end of the funeral proceedings. On Tuesday afternoon, stringers for West Papua Media had reported that heavily armed police and army had deployed in their hundreds around the home area of Kogoya outside Jayapura, escalating an already tense situation. Our sources have also reported that no protest actions are planned, amid intelligence agencies actions to focus on a propaganda campaign discouraging local residents from commemorating Kogoya’s death. According to our stringers, present in Jayapura, this campaign of broadcasts and public announcements is threatening the use of force if any mourning “crosses over to support pro-independence”. The situation is being monitored closely, and may escalate. For urgent updates, please see our Twitter feed @westpapuamedia .